From small beginnings as a specialist industrial oil company almost 20 years ago, Gannon Oils has grown toÂ become one of the UK's leading manufacturers, suppliers and distributors of specialist oil, lubricant and grease to industry. Gannon Oils Limited supply and design high performance industrial oils and lubricants, offering both mineral and synthetic technologyÂ with the benefits of reducing downtime whilst improving production efficiency. The Gannon Oils philosophy is to provide industry world-wide with a first class service. As the UK’s leading supplier of industrial lubricant oil, vacuum pump oil, soluble oil, lithium grease, high temperature grease and Molykote grease, weÂ fulfill an integral role in a number of sectors. 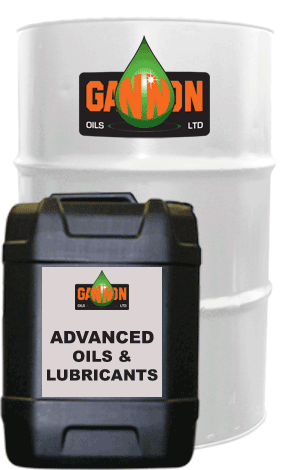 Gannon Oils Ltd are stockists and suppliers for many leading brands. Unsurpassed expertise coupled with quality assurance and a responsive approach positions Gannon Oils as one of the leading suppliers in the lubricant market. Gannon Oils has the following accreditations, BS EN ISO 9001:2000 and BS EN ISO 14001:1996. We specialise in quality assured high performance lubricants, oils and greases specially formulated from the finest materials with the aid of the most advanced modern day technology. Gannon Oils Limited has a reputation as a specialist in all industrial sectors. Gannon Oils' products are designed and manufactured competitively, from the very best refined base oils and the most advanced additive technology. Our expertise in research and development of new products provides effective solutions to any industrial, metalworking, automotive, agricultural, marine and biodegradable lubrication requirements whilst also providing a comprehensive range of speciality lubricants. Gannon Oils Export Division is continually seeking new partners to establish long term partnerships with both the Gannon Oils brand and customer specific private labels, complete with full business development, white labelling and marketing packages and a secure customer confidentiality service. Contact us for all your lubrication requirements.